Mimi Fraser has been working in the fashion industry since 2002, when she created a successful private consulting company focused on developing emerging brands and business development in international markets. Having begun her career in Christie’s Jewellery Department, she combined her skills in both the art and fashion industries with an expertise in the luxury goods market. Mimi Fraser joined Baraboux at its inception in 2010 faced with the challenge of building a new luxury brand with its roots in the Middle East, but with an international commercial objective. She has brought together the best resources in design, creative, product development and an industrial platform for the brand. 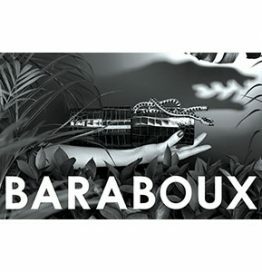 Baraboux has grown exponentially and has expanded distribution to premium luxury outlets including Barneys New York, Harvey Nichols Hong Kong and Harrods in London. Mimi holds a Masters in Business Administration and a Bachelor of Sciences with honors in Economics both from Boston University.